I was watching Tyler Florence's cooking show on TV a couple of weeks ago. 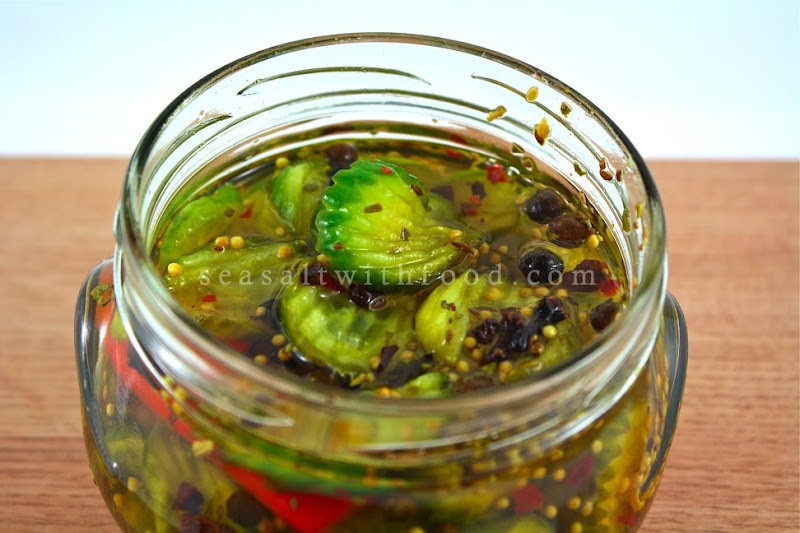 He shared a recipe for Bread and Butter pickles, which was so easy to make that I had to try out the recipe at home. I made a small batch and had the pickles after 2 days in the brine. It tasted really good, I like the freshness and the crunchiness of the pickles. Try it. 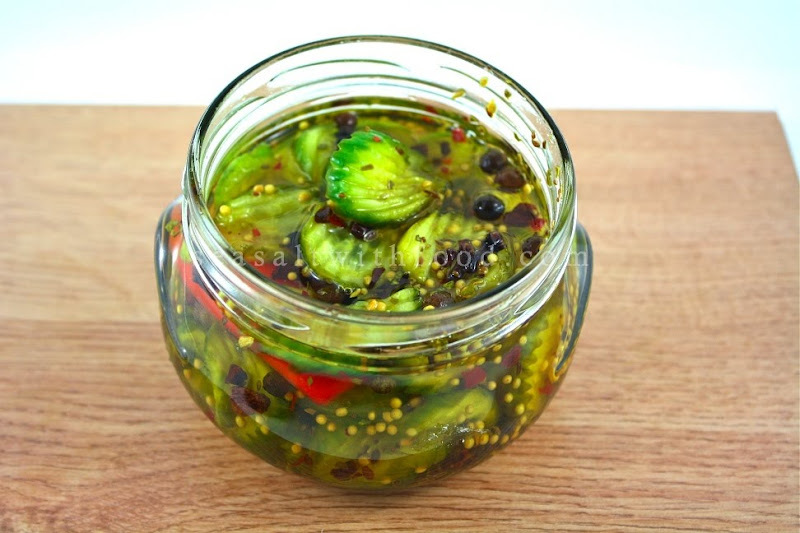 Slice the cucumber into ¼-inch thick rounds and place in a prepared jar together with the chili, if using. In a large pot over moderate heat, add vinegar, sugar, water, pickling spice, turmeric and garlic. Bring the mixture to a boil and carefully pour into the jar of cucumbers. Seal the lid and allow cooling to a room temperature. Refrigerate overnight and can be serve the next day. Delicious! My boyfriend is currently working on a batch of fermented pickles right now. We will be checking on them soon. I hope they turn out as delicious looking as yours! Awesome! We will be doing this today! We LOVE pickles!!!! look at that green color! fabulous!